Disney Cruise onboard credit is often referred to as a bonus, a promotion, or an incentive. However, you can simply think of it as free money offered to you by travel agencies when you book a cruise. Whatever you want to call it, onboard credit for Disney Cruises is definitely something you want to take advantage. It will reduce some of your cruise ship expenses so that the total cost won’t be as burdensome. So what counts as onboard credit, how can it you use it on your next Disney Cruise Line vacation, and who exactly offers this perk? Continue reading and you’ll find out everything you need to know about Disney Cruise onboard credit. What is Disney Cruise Onboard Credit? Onboard credit (also called shipboard credit) is a special promotion that many travel agencies offer their clients as an incentive to book a cruise. Awarding onboard credit has become more of a standard practice as the cruise industry landscape becomes increasingly more competitive. This is great news for you – the client – because most of the reputable Disney travel agencies now offer onboard credit when you book a Disney Cruise Line vacation. Another way to obtain onboard credit is if you were to book a future Disney cruise while you’re currently on a Disney cruise. However, booking a cruise in this manner typically results in fewer onboard credits (but more in the way of attractive discounts and reduced deposits). So what exactly is an onboard credit, and how can it be used? Onboard credit is simply a certain amount of money that is applied toward your balance on your stateroom account. The amount of shipboard credit you receive depends on the total cost of your Disney cruise. In other words, the more you spend, the higher the dollar amount of onboard credit you will likely receive. Onboard credit can be applied to purchases on the ship which would otherwise be added to your stateroom expenses. For example, if you have a $400 onboard credit applied to your account, this means that these extra expenses you charge to your stateroom will automatically be deducted from your $400 onboard credit. After that, any expenses you accrue beyond that $400 credit will be your own expense to cover via cash or credit card. So you can think of onboard credit as free money to spend as you wish while you are onboard a Disney Cruise Line ship. It’s a pretty great deal! The most common way to obtain onboard credit is through a travel agency. Whether you work with a large Disney travel agency or an individual travel agent, you should always ask them about onboard credit before you book a trip. We find that the most reputable Disney travel agencies do offer their clients onboard credit as a booking bonus. Some of the larger and most aggressive travel agencies offer a sliding scale of up to $1000 in onboard credits. Rates vary from agency to agency and they are subject to change at any time. Therefore, it’s best to lock in a great deal when you see it. If you contact an agency who doesn’t offer a generous amount of onboard credit, it would be wise to skip them and find one who does. Read our Disney travel planners article to learn about the benefits of using a travel agency to help you book a Disney vacation. They can help you plan and book a Disney cruise, as well as find the best cruise packages for your needs. Hint: We recommend The Vacationeer because of their generous onboard credit promotion and excellent customer service. See their pay-out schedule here. While you are already on board a cruise, Disney sales associates try to lure you into booking another cruise in the future. They offer some great deals, lower deposits, as well as some onboard credits. If you think you may want to set sail again, we recommend that you first compare the deals Disney offers with the onboard credits a travel agency offers before you commit to anything. Since onboard credits and Disney packages tend to vary, there is no clear cut way of knowing which method of booking (directly with Disney or via a travel agency) will save you the most money without calling around first. How do Payments Work on Disney Cruise Ships? All purchases, services, and incidentals will be charged to your stateroom folio while you are on the ship. However, you may wish to carry cash or a credit card when you are in port to buy items such as souvenirs and snacks. To ensure you won’t have any problems using your card during the cruise, it may be a good idea to contact your credit card company to give them a heads-up that you will be traveling outside of your home country. Shipboard transactions are processed in US dollars and handled in a trouble-free, cashless way. Services and purchases – including beverages, souvenirs, gratuities, photography, spas, salons, laundry, and medical services – will accumulate on your stateroom folio and charged thereafter. To make purchases, you may choose to use the credit card on file, make payments with cash, or an American Express-issued Travelers Cheques denominated in United States Dollars and Disney Dollars. Disney Cruise Line policy requires that all charges must be settled before leaving the ship. In the Caribbean and the Bahamas, major credit cards and U.S. dollars are accepted nearly everywhere. For European and Mediterranean Disney cruises, USD paper currency or American Express Travelers Cheques in USD are the preferred currency choices in ports for foreign currency exchange in local currency or euros. Major credit cards with embedded chips (especially Mastercard and Visa) are accepted by most merchants in these port of calls. We hope that you can apply some of this information to get the most value out of your Disney Cruise ship vacation. Enjoy your voyage! Thank you for reading our Disney Cruise Onboard Credit page. Hopefully, this article will help you formulate a plan to save money on your stateroom expenses. 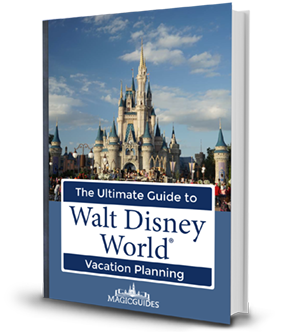 For more useful Disney vacation information, please review additional pages on MagicGuides like our Book a Disney Cruise, Disney World Map, Disney World for Adults, and Disney World Weather articles. Please contact The Vacationeer at 1-833-4MY-TRIP (or via this contact form) to help you plan and book your Disney cruise ship vacation. We hope you have a magical Disney cruise ship vacation!